The following article appeared in the Hendersonville Standard, the Gallatin News and The Wilson Post the week of February 3, 2014. When you marry, this new relationship presents issues neither of you have ever faced before. It’s a scary time. However, you bring into this union the hope that it will be the start of a life that will bring you rich fulfillment. You are also both bringing into the relationship your faults, your strengths, and the possibility that your marriage will endure or fail. How you tend to your marriage will determine the level of satisfaction you experience and whether or not your ideal is realized. Hopefully, the following tips can give a new marriage the charge it needs or restart a once happy one. Expect that your relationship will change. Within the first few months and even years of marriage your life will be relatively easy. You work and live for each other. There’s little else that takes your attention and what does typically has its own time slot (ie. exercise, work, and friends). However, as children enter the picture, you will be spread thin and forced to continually reconsider your priorities. This change can be good if you accept and adapt to it, or the metamorphosis can be your undoing. As a result of your changing relationship, the excitement level you have consistently maintained will begin to fall. This is a practical matter because we can’t remain in a state of lover’s euphoria forever. This is life. The question is, can you find happiness in the little things? Can you connect over a cup of coffee or while playing with the kids? These moments of contentment and shared joy are what will prolong your marriage. Trips and dates are fun, but must not be relied upon to fully engage with your spouse. While what you deemed exciting as a young married adult may lessen, moments of intimate connection can be more intense than you ever thought possible. Why? You get better at being you, at being a lover, and you learn how wonderful the person you married actually is. Discuss your values. You may have entered the marriage with a well thought-out plan or you may have fallen into it with little discussion about matters of importance. Where do you each stand on politics, religion, and children? Depending on their importance to you as individuals, they can either push you apart or bring you together. Talk about what is important to you. Don’t be selfish. Your decisions are no longer about what you want, but about what is best for the family. This makes goal setting an important part of your relationship. If you have goals, both of you know what you are working for materially speaking. Then, saying no to a new boat or other luxury item will be easier if it’s not in the current plan. Talk to a financial planner and be on the same page regarding money. Time apart is a good thing. In our families we give and give without taking personal time and this can be bad news. It could be as small as 30 minutes at the end of the day, but we must nurture ourselves. This will enable us to have something to give to our family; our best. That being said, time together is equally as important. You can’t be apart on a regular basis and then act surprised because of the lack of affection. 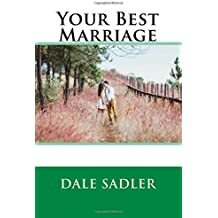 Read at least one book per year on how to improve your marriage. 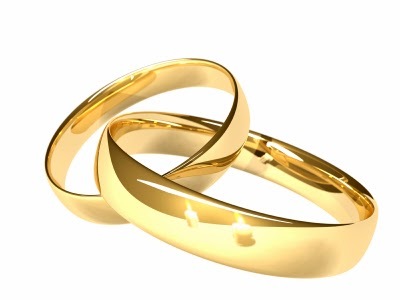 You can also follow blogs or someone’s Twitter feed who gives good advice on marriage. There are also podcasts to glean inspiration from. It’s easier to maintain a good marriage than it is to fix a broken one. A good book to start with is Willard F. Harley’s Fall In Love Stay In Love. In it he explains how spouses should work to meet each other’s needs. Always strive to be the best spouse you can be. It’s very common for battling spouses to point at their counterpart and say, “when you change, I will.” In this case, neither party is winning. The only thing that is being built is a wall that grows stronger with each passing day. Forgiveness must be a part of your lifestyle. If you both strive to be the best spouse you can be, you won’t be pointing out the faults of the other. Rather, you’ll be working towards reconciliation. As in many of the Proverbs, there’s little explanation that follows except to say that containing this type of woman is like containing the wind or holding oil in your hand. Maybe one of Solomon’s wives was looking on and he didn’t want her to know whom he was writing about. Maybe his reference to the wind led her to believe it was the wife who talked too much. Or his allusion to oil was a nod to the woman who used more than her fair share of the perfume. What a shame that the wisest man to ever live had to do so with an argumentative woman/women. I can see him now, on his throne, head resting patiently, thoughtlessly on his fist with his wife, standing above him, her ever thrusting finger in rhythmic time with her verbal barrage. “Yes dear,” he would say hoping it would bring him a moment’s peace, no doubt remembering what he had previously written in chapter 21, “It is better to dwell in the wilderness, than with a contentious and angry woman.” By chapter 27 he had probably worked up enough courage to say what he really meant, but made sure the words were hidden between the parts about blessing a friend with a loud voice and of iron sharpening iron. Little is said of a contentious woman other than she will drive you stark raving mad. Rain doesn’t stop while it is rain. As the verse states, it continues dropping, dropping, and dropping with no thought of your feelings or the fact that you are wearing your suede jacket. “Maybe if I let the rain completely cover my shoes, it will be alright,” you think. “Darker suede, like a new pair.” But no, the rain ruins them all the same. Would it be so bad to tell her? It’s likely that in some rickety gym bleachers during a high school pep rally she uttered the words to her BFF, “don’t ever let me become my mother.” Probably because of a fight they had over her short skirt, but telling her that her pseudo-prophecy is coming true would do no good. It would just be more ammunition to throw at her targets. As though she needs more. “You said I was just like my mother so I guess I need to live up to the expectation.” Visions of the Wicked Witch of the West come to mind as well as the large collection of wire hangers I have in my closet. The other lesson contentious women give here? “Men are scum, and if we don’t tear them down, they’ll be lazy, good-for-nothings and will probably cheat on us.” It’s true. For generations men have been scoundrels, competing masses of conquering adrenaline that are not fit to be in the presence of refined women who are about the only things we don’t hit over the head anymore. Most of us anyway. And this is for the better because we should be domesticated by now. If I lose at a card game, my instinct is to jump up, allow my chair to scrape against the wooden floor and then punch the guy. Next, if old western have taught us anything, the piano will strike up as we duke it out until being thrown into the horse trough outside. But society and my wife say that this is wrong. I should be a good sport and not a sore loser. Men are domesticated thanks to women, but in our hearts most of us are still wild. The desire to conquer is strong in us. We still retreat to the woods, we still eat hoards of meat and the desire to drive recklessly is tempered only by the loving eyes of our family. To deal with this, women have two options. First, she can be the type of woman a man longs for, and if he’s smart, he will pursue her with all the gusto he can muster. This will result in a happy and productive marriage along with the occasional trip to the woods or river. We’re still wild, remember? The other option is to be a Trojan horse to him. Lure him in with her seductive ways and promise him happiness until she has him around the throat and his other sensitive parts. This places her in a prime position to get exactly what she wants from him, which may be a child, money or simply the satisfaction that she can rule his life because of her low opinion of men. These women are sick. Her husband bought a ring as a token showing he can care for her and she has slowly become something that he can’t do anything with. She sees no wrong in her selfish actions and everyone is left with an open heart where a loving mother should be. Proverbs 31 speaks of the virtuous woman, lauding her business sense, piety, and care for her family. Women are one of God’s most precious gifts to us. They are gentle and loving, but when they do not take their place in this world seriously, or worse, use their talents for selfish reasons, everyone suffers.